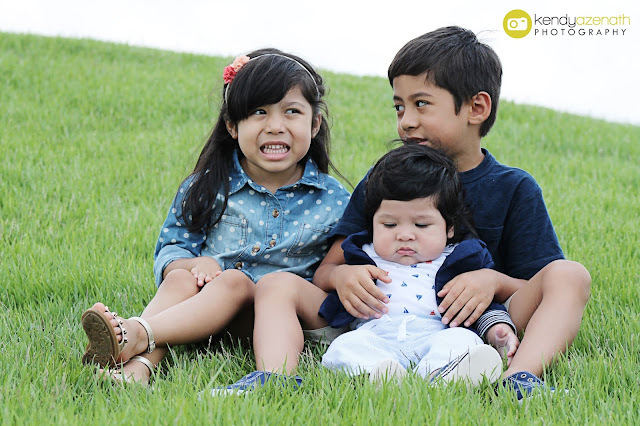 This past Sunday we tried to do a mini photo shoot with the kids and failed. 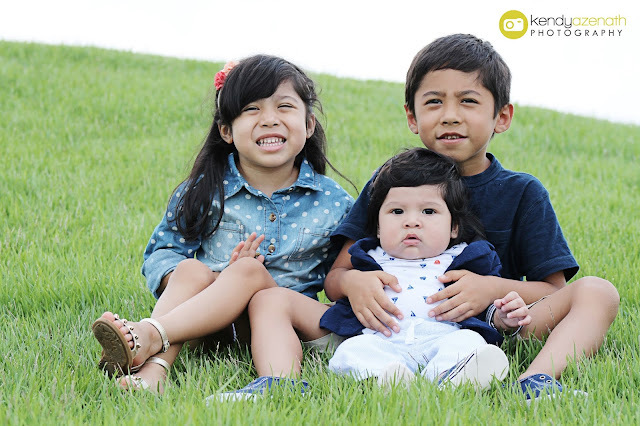 It's WAY too hot outside plus the sun was extremely bright which is why the kids are squinting in these pictures. Not only that but my son was not in the mood for pictures. "This isn't my thing", he said to be exact. Yup my SIX year old son said that! So these are the best shots we got. We have been wanting to take family pictures for the longest but it seems we will have to wait until it's a little less sauna like outside.